The aluminium COMETE Full Rolling horseshoes make it easy to tilt your feet forward as well as on the sides. the coverage of 30mm associated with a wide sole relief makes a great protection of the sole. It can be used in a sporty manner or as a therapeutic horseshoe to reduce joint strain. DELTACAST aluminum horseshoes are made of aerospace grade aluminum alloy. Our aluminum horseshoes are ideal for meeting your farriery requirements. 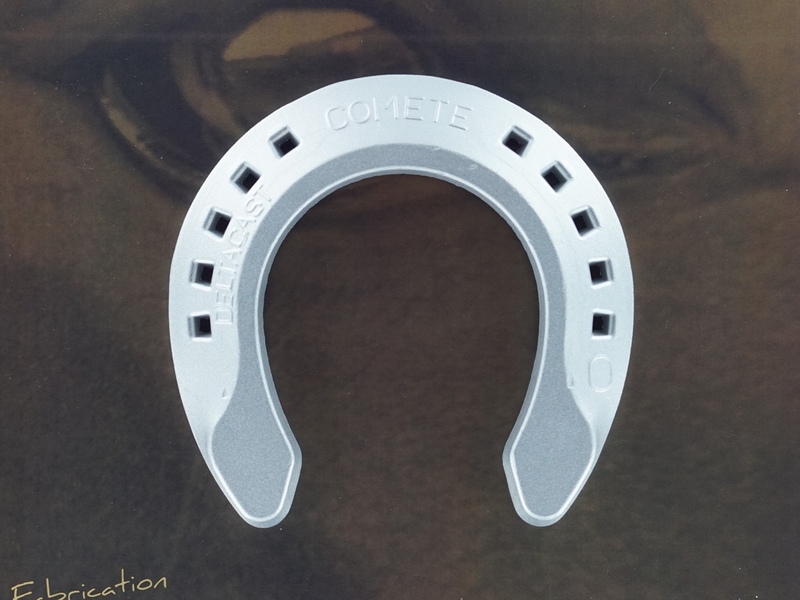 COMETE horseshoes are designed for maximum endurance.